An analysis of commercial and individual market plans from 2014 to 2016 showed that 23.3% of every premium dollar goes to prescriptions drugs, 22.2% to physician services, 20.2% to office visits and 16.1% for hospital stays, according to a Milliman study commissioned by AHIP. "As prescription drug prices and medical costs continue to rise, it forces premiums higher for hardworking American families," said incoming President and CEO Matt Eyles. A proposal to move some or all prescription drugs offered under Medicare Part B to Part D as part of a plan to lower drug prices could raise out-of-pocket costs for patients who buy supplemental coverage for Part B and are ineligible for cost-sharing subsidies in Part D, according to an Avalere Health analysis, but other patients might benefit. There is significant difference in average out-of-pocket costs between Part D and Part B, and proposals to move drugs to Part D should take this into account, according to the report's authors. 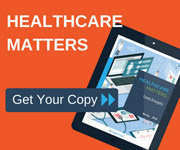 Get the new Spring edition of Healthcare Matters with top-of-mind market trends and insights for payers. We tackle 3 bottom-line related topics: quantifying and reducing clinical variance, contract management tech solutions and metrics reporting for value-based care initiatives. Get your copy. The American Academy of Pediatrics recommended that children be immunized with the inactivated influenza vaccine for the upcoming flu season and only receive the quadrivalent live-inactivated influenza vaccine as a last resort, noting the shot has provided consistently better protection than the nasal spray. The AAP will release a policy statement on flu prevention and treatment in September. A poll of 1,328 emergency room doctors conducted by the American College of Emergency Physicians found that 9 in 10 respondents indicated their hospitals are insufficiently prepared for mass tragedies or major disasters. The findings underscore the need for an increased focus on medical aspects of preparedness as Congress works on major disaster preparedness legislation called the Pandemic and All-Hazards Preparedness and Advancing Innovation Act of 2018, said ACEP President Dr. Paul Kivela. 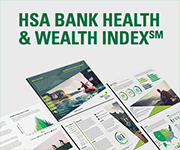 The HSA Bank Health & Wealth IndexSM reveals how modern-day consumers are faring when it comes to financial and physical health and provides insights into their behaviors and level of engagement. Download the report to see the compelling results. The Annual Report to the Nation on the Status of Cancer found cancer diagnoses and deaths in the US overall have been decreasing for men and women, mainly due to better treatments, prevention and screening in colorectal, lung and breast cancers. Prostate cancer death rates stabilized, however, after years of decline, and cases of oral and liver cancers are rising. A US Preventive Services Task Force statement said there is insufficient evidence on the efficacy of primary care interventions to prevent abuse and neglect among youths who are not showing signs of maltreatment. However, clinicians should remain vigilant in monitoring young patients for signs of maltreatment; learn federal, state and local laws mandating suspected child abuse reporting; and employ their best medical judgment when providing care to children who may be experiencing mistreatment, said task force member Dr. Alex Kemper. One of the Ebola virus vaccines that has worked well in studies involving nonhuman primates is being used under a compassionate use exemption in the Democratic Republic of Congo, where the virus recently reemerged. The vaccine was also effective in a ring-vaccination trial in Guinea, where people exposed to someone who had an Ebola infection were vaccinated to build a ring of immunity that blocks transmission. Geisinger Health System plans to offer DNA sequencing to 1,000 patients, with primary care physicians discussing the option with patients and getting results of the testing. Patients will be invited to meet with their primary care clinician and a genetic counselor to discuss the results and potential treatment and prevention options that could reduce their health risks. Home-centered care drives significant savings, promotes recovery, and increases patient satisfaction. Surprisingly, home care remains underused due to barriers that are structurally embedded into the healthcare system. What will it take for the home to become a center of patient care? LLearn more by downloading this study now. Health insurance providers look for solutions at Institute & Expo. Will they see yours? Let's discuss a package to deliver decision makers, and ROI. 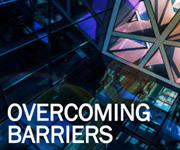 Contact BusinessDevelopment@ahip.org. FDA Commissioner Scott Gottlieb is paving the way for drug developers to advance more gene therapies for various diseases by creating a framework that will guide gene therapy manufacturers. "The first therapeutic area we'll focus on is hemophilia, where factor production may be sufficient in some cases as a surrogate measure of benefit where a gene therapy product can potentially normalize factor production," Gottlieb said. House lawmakers approved legislation Tuesday that would allow terminally ill patients to request access to experimental drugs that have undergone early-stage clinical trials but have yet to receive approval from the FDA. The bill, which would not require pharmaceutical companies to provide the drugs, was passed by the Senate last year and now goes to President Donald Trump for his expected signature. Time's running out! Save 20% on select courses. Save 20% off select courses now through May 31. Browse the wide variety of course offerings and professional designations. Use coupon code SPRING2018 at checkout; some exclusions apply. Learn more and enroll today. Spend less time researching prospects. More time closing. Introducing MMIT Reach, a better way to research and target health plan and PBM decision-makers. This validated contact universe helps you communicate with certainty. That's because all data records are updated monthly. And you receive monthly change reports, for continued accuracy. Ask about the exclusive AHIP discount on MMIT Reach. If you are an agent or broker, educator, or a student, AHIP Individual Membership is ideal for you. Throughout the year, you'll receive access to the latest news and information affecting the industry, as well as discounts on dozens of AHIP education programs, such as, "Health Insurance 101," "Long-Term Care Professional Combined Course," and many more. Learn more and join. Few things are impossible to diligence and skill. Product announcements appearing in SmartBrief are paid advertisements and do not reflect actual AHIP endorsements. The news reported in SmartBrief does not necessarily reflect the official position of AHIP.